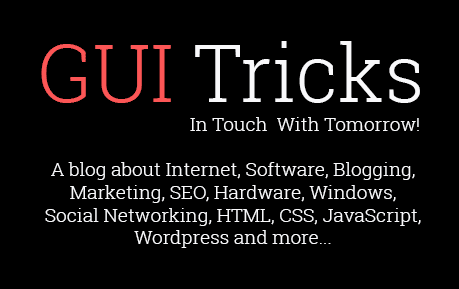 Skyroam Solis - For The Traveler And The Cybernaut In You | GUI Tricks - In Touch With Tomorrow! 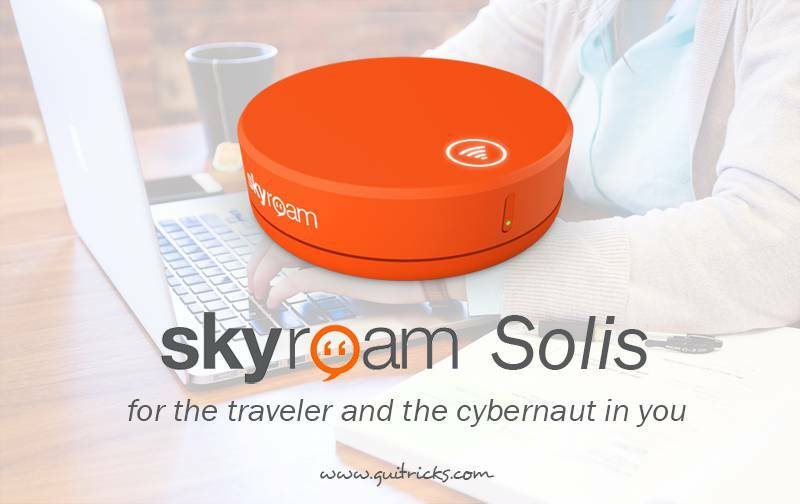 Skyroam Solis - For The Traveler And The Cybernaut In You - GUI Tricks - In Touch With Tomorrow! Ever planned for travel abroad and finally dropped the plan because you couldn’t stop from being connected to the internet? Restricted yourself from bungee jumping the High Steel Bridge because the social-media-addict inside you, couldn’t manage a day without WIFI? Skyroam has come up with a perfect solution for all the internet-addicted travelers and students. Skyroam Solis is the ultimate connectivity companion for those who only dreamt of perfect travel experience. It is 4G LTE Global WIFI Hotspot and Power-Bank. Don't Forget To Check out! "Mobile Signal Booster - Voice150 sq.m. [Review]"
Powerful Charging - The device has an embedded 6000 MaH power-bank and the latest USB C-connection. Smart And Simple -The biggest highlight of the device is the WIFI reception over 130+ countries without the use of any SIM Cards. Shareable - More than 5 gadgets can be connected to the device at a time. Portable Global Smart Hub - A variety of devices including phones, laptop and, IOT Devices can be connected online at any rate. Long Lasting - 16+Hours of battery life is a dream come true for anyone whose passion is traveling. Moreover, the device offers the highest quality experience and the sleek model is easy to carry. You have to pay only for the WIFI that you use. The travelers can save a lot on their roaming charges across different countries. How To Use Skyroam Solis? To connect to the device, first, connect to the hotspot and then you’ll be directed to the capture page that helps you to manage the device settings. The battery life of the device is appreciable and is most favorable for usage in a travel group. The users of the device have testified that the device works even in the isolated areas and also in the city centers. Is Skyroam Solis A Necessity? With the reduced cost of the device, its high speed of connectivity, and user-friendliness the device is a must-have for travel-lovers. However, there are several network policies offered by the governments of different countries which provide free international-roaming. As travel policies across regions are becoming more tourist-friendly, it’s a question on how long will the device remain in the market. With future enhancements, I hope the product will stand unique in the market. Who Needs Skyroam Solis At Most? Adventure travelers, tour-guides and solo travelers would need the product mostly. Be it cruising on North America’s southernmost navigable fjord or immersing yourself in the French-speaking Quebecois culture, or camping with a herd of caribou, Solis would be a perfect partner, helping you in connecting with your team, capturing and transferring the moments for a lifetime or communicating in case of an emergency. Though for travelers, adventure is a not-so-frequent journey, for adventure tour guides it’s a routine. For those who are born with a love for adventure, adventure courses are offered at various colleges across the United States including the Virginia Technology University, State University of New York, Cortland, Appalachian State University, Boise State University and many more. Thecollegemonk is a one-stop source for all your adventure-course queries in the United States. Usage of devices including the Skyroam Solis has today become part of the curriculum for most of the adventure courses. Few of the other travel routers mostly recommended by travelers across the globe are as given below. TPLink N300 Nano Travel Router supports 300Mbps speed. This simple router has a simple plug and a play solution that currently works. The device can be powered by a USB and can be powered by an Ethernet port. TPLink N150 Wireless Portable Router offers lesser features as compared to N300, the speed of connectivity is slower than 150Mbps. RavPower FileHub PLUS offers a 300Mbps network, offers a 6000 mah battery, an SD card reader, a USB Port, and DLNA Compatible media serving capabilities. RavPower Filehub is smaller, cheaper and has lesser features than RavPower Filehub PLUS. This report was for the traveler and the internet-addict in you. With technology advancing day by day and the world converging itself into a global village traveling isn’t a burden. Travel for your soul. Browse for your brain. Think of your heart! !